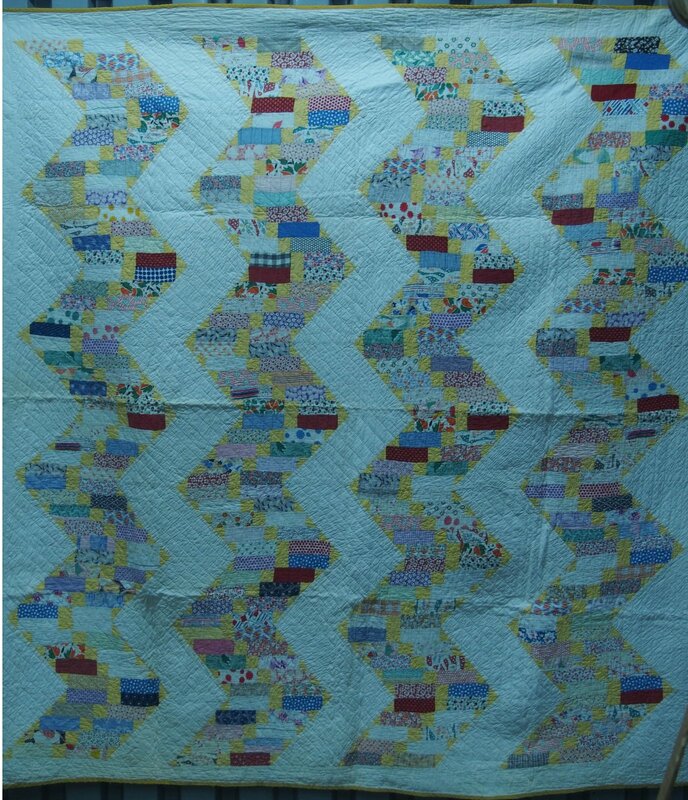 An unusual configuration of a zigzag pattern made so by the inclusion of solid yellow in small squares and small triangles that accentuate and outline the coursing pattern. Piecing of narrow rectangles rather than squares is also an unusual touch. Feedsacks in many pastel prints harmoniously arranged.